Zone 3. 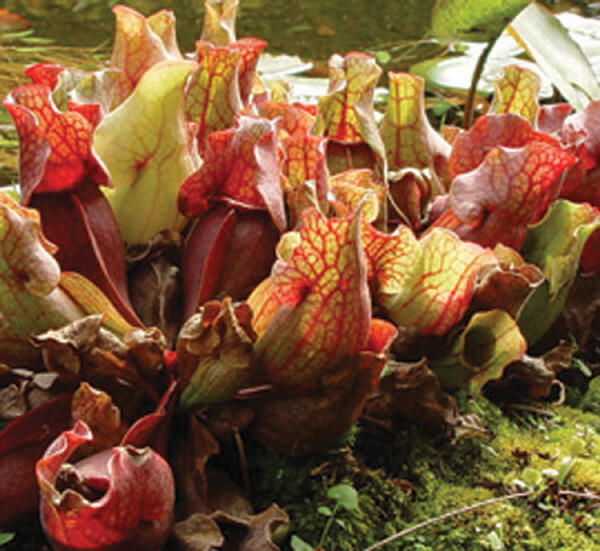 Northern Pitcher Plant. Red to purple veins on stout wide open hoods. In full sun, pitcher color darkens and appears purple. Tolerates shade and moderate drought. 8" to 12" tall.